The province of Nova Scotia is probably best known for Peggy’s Cove – one of the most photographed lighthouses in the world – drawing visitors to its rocky coastline about 43 kilometers southwest of downtown Halifax. I didn’t have a chance during my brief pass through to make it out there, however. I also wasn’t able to experience what is apparently a legitimate surfing scene, a salty dog lake culture, and a growing wine region. It was simply a matter of time. 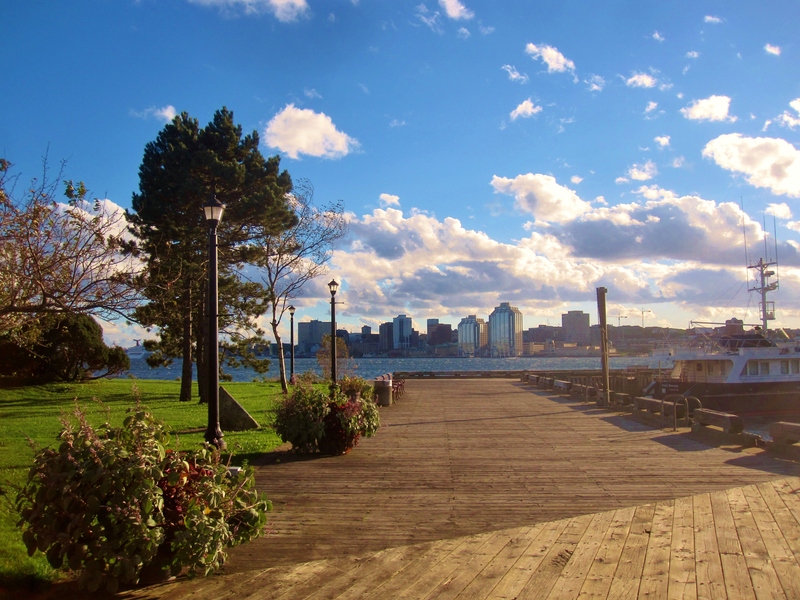 View of Halifax waterfront from across the harbor in Dartmouth. I landed just outside of Halifax at two in the morning on a Thursday, my departure time set in stone for noon on Friday, catching the 20-hour VIA Rail Ocean Route through the fall foliage to Montreal (you can read my thoughts about that trek here). 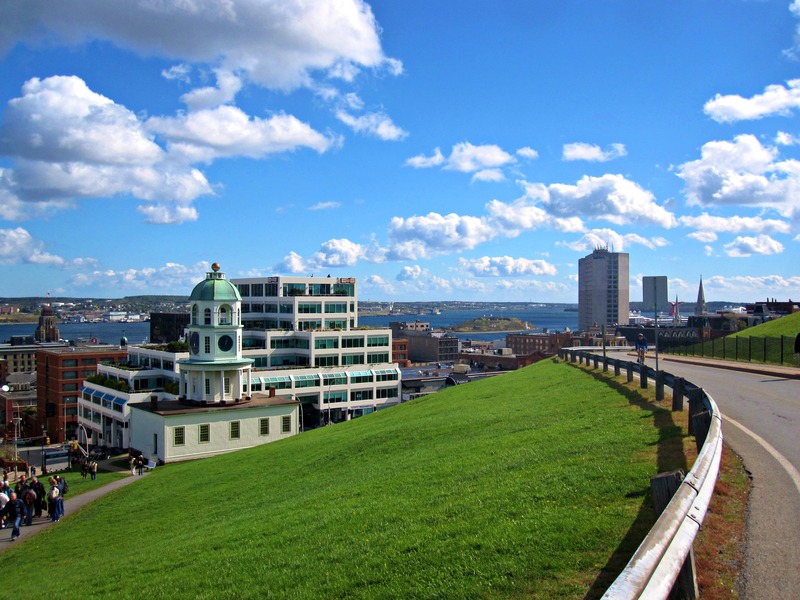 That’s a tough draw – essentially a layover – and instead of burning more time in transit, I decided to remain in Halifax Harbor area for the little time I had. It’s an old maritime city that’s stocked with historical relevance. 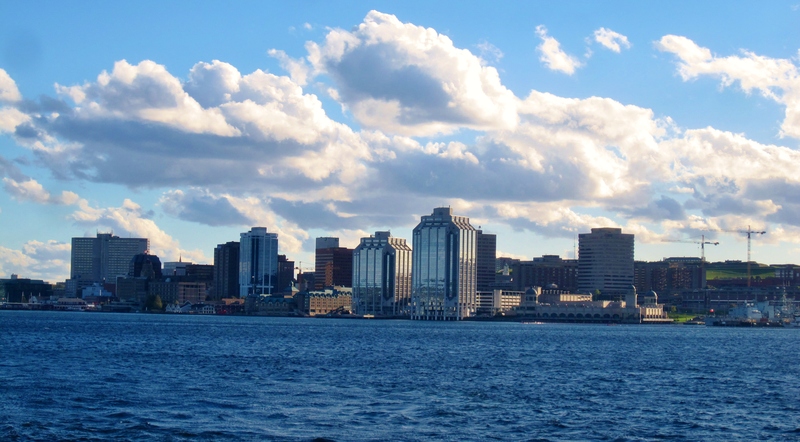 One thing of the pleasant variety that draws many Canadians to Halifax is that it is the location of Pier 21 – the point of immigration for those becoming residents of Canada. To make it really simple: Ellis Island is to America as Pier 21 is to Canada. The rest of the history, I’m afraid, is not as uplifting. It is incredibly interesting, though, the two “main events” being the Halifax Explosion and the town’s involvement in the Titanic rescue/response. Yes, that Titanic. We’ll start there. When the Titanic struck an iceberg in the Atlantic in the spring of 1912, several ships were deployed from Halifax to help retrieve bodies. They set sail with a minister, an undertaker, and a cargo bay full of ice, coffins and canvas bags. The ships pulled hundreds of bodies from the water, returning them to Halifax where they were buried and put to rest in cemeteries throughout town (the Fairview Cemetery is the most-well known of the three). Certain buildings, such as the current location of the Five Fishermen Restaurant, served as mortuaries while the bodies were sorted and identified. While it’s hard to imagine a larger tragedy than that of the Titanic, it was the Halifax Explosion that hit closer to home a few years later. In 1917, two ships – one carrying ammunition – collided in the Halifax Harbor resulting in a massive explosion that killed 2,000 people. Making things worse is that the crash was the result of a game of chicken between the two captains at a time when tensions were high, trust low, and rules lax due to the presence of German U-boats in and around the harbor. Stop by the Halifax Maritime Museum when you’re in town for the full scoop on both disasters. View of Halifax waterfront from Halifax Citadel.